The next Planning Commission meeting is being held on March 15, at 7:00 p.m. If you are interested in a specific topic, please visit the Boards and Committees page for more information. The next YAMPO meeting is being held on April 7, at 9:00 am. Please visit the Boards and Committees page for more information. The York County Planning Commission, as part of the annual evaluation of the York County Hazard Mitigation Plan, will be accepting comments and recommendations on the Plan from March 14, 2016 through April 14, 2016. The Plan can be viewed at the offices of the York County Planning Commission, located on the 3 rd floor of the York County Administration Center at 28 East Market Street, York, PA 17401 or viewed online at http://www.ycpc.org/images/pdfs/Comp_Plan/Hazard%20Mitigation%20Plan.pdf Written comments should be sent to the address above c/o Roy Livergood, Senior Planner or can be emailed to rlivergood@ycpc.org. Public comment will also be taken at the April 19, 2015, meeting of the York County Planning Commission. The meeting will be held at the York County 911 Emergency Service Center located at 120 Davies Drive, York, PA 17402 and is scheduled to start at 7:00 pm. York County municipalities are already working cooperatively as part of the York County Stormwater Consortium to plan, fund and construct projects that reduce nutrients to improve local water quality and Chesapeake Bay water quality. FEMA has announced the application period for the Fiscal Year (FY) 2016 Pre-Disaster Mitigation (PDM) and Flood Mitigation Assistance (FMA) grant programs: March 15 - June 15, 2016. PDM: The PDM program provides funds on an annual basis for hazard mitigation planning and the implementation of mitigation projects for the purpose of reducing overall risk to the population and structures, while at the same time, also reducing reliance on federal funding from actual disaster declarations. FEMA is making $90 million available for FY 2016 PDM grants. See the PDM webpage for more information. 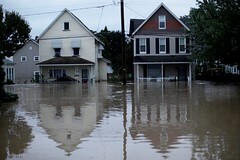 FMA: The FMA grant program provides funds on an annual basis so that measures can be taken to reduce or eliminate risk of flood damage to buildings insured under the National Flood Insurance Program (NFIP). FEMA is making $199 million available for FY 2016 FMA grants. See the FMA webpage for more information. States, Tribes and Territories, or Applicants, must submit their PDM and FMA grant applications to FEMA via the Mitigation eGrants system (MT eGrants) on the FEMA Grants Portalon the Internet at https:/portal.fema.gov by 3 pm (ET) on June 15, 2016. Local and Tribal governments, or Subapplicants, must submit planning and project sub-applications to their State/Territory Applicant agency. See the Mitigation eGrants System web page for more information. FEMA plans to host MT eGrants system webinars during the application period. For example, the agency's priority for FY 2016 PDM competitive projects is climate resilient mitigation actions (CRMA) and pre- or post-wildfire mitigation activities or any mitigation action that utilizes green infrastructure approaches. More information on CRMA can be found in the FEMA Library. Subapplicants with questions about the FY 2016 PDM and FMA grant programs should contact their state hazard mitigation officer; Applicants should contact their FEMA Regional office. This course is designed to provide local officials who are responsible for administering floodplain management ordinances with additional resources to do their jobs. Some of the requirements of the NFIP are less clearly spelled out in the regulations, and the aim of this course is to present locals with guidance and tools on those areas. The course will offer a refresher of the mapping and regulatory basics of the National Flood Insurance Program (NFIP) and will focus on the day-to-day duties of the floodplain administrator, linking the relationship between floodplain management and flood insurance. Agenda topics will include mapping tools, suggestions on the establishment of administrative procedures, the incorporation of higher regulatory standards, permitting considerations pre- and post-disaster, and the challenges and benefits of ordinance enforcement. Target Audience: Includes zoning officials, floodplain managers and building code inspection personnel and other stakeholders responsible for administering local floodplain management ordinances. We recommended that participants have already taken L273 - Managing Development through the National Flood Insurance Program (NFIP) or at least have some familiarity with local ordinances and the basics of the NFIP, though it is not required. 4 UCC Continuing Education Credits will be awarded. 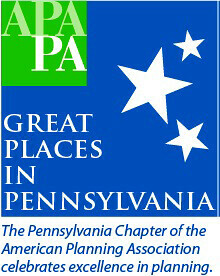 The Pennsylvania Chapter of the American Planning Association (APA PA) will be recognizing "Great Streets" and "Great Greenways/Trails" in 2016. Do you know of a street or greenway/trail that truly stands out in what it offers residents and visitors? Do you think it merits designation as a Great Place in Pennsylvania? If so, NOMINATE IT! Great Places offer better choices for where and how people live, work, and play. They are enjoyable, safe, sustainable, and desirable. They are places where people want to be, not only to visit, but to live, work and/or play every day. Not only do they build a sense of community, but Great Places also give their communities an economic boost by helping to attract and retain residents and businesses. New LTAP training courses have been scheduled within York county. If interested, please visit the LTAP website for class descriptions and to register for these classes. If you have any questions, please contact your LTAP Administrator via the LTAP website or Karen Hawkins at 717-771-9870 or khawkins@ycpc.org and your question will be answered as quickly as possible. Have a great day!